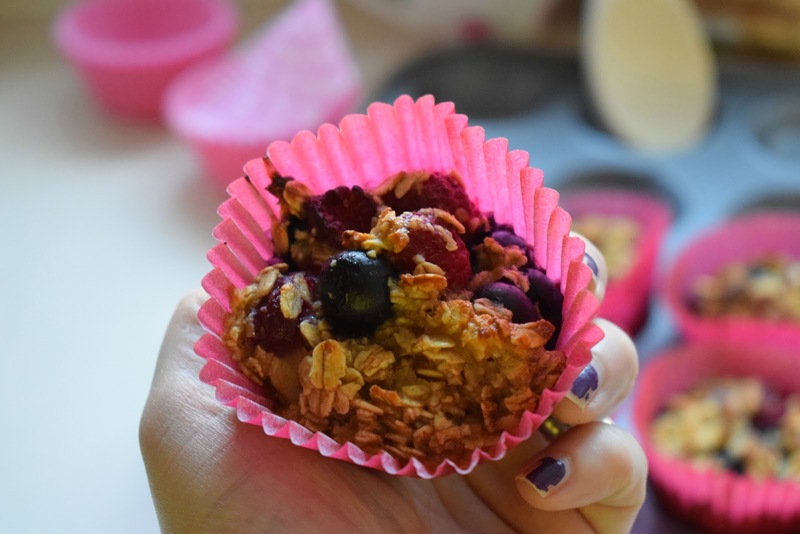 If you are like me, and love a little snack and nibble on things that are not particularly healthy. 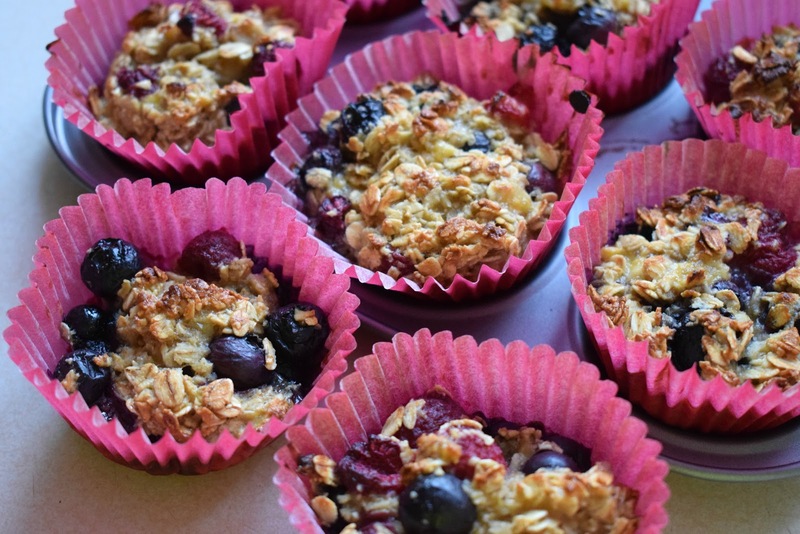 You may like this super quick, easy to make recipe, packed with oats and berries, these little buns make a yummy snack, or work at breakfast time. Well that's if you don't eat much in the morning. I personally have a big bowl of porridge and fruit every morning, but I am always starving as soon as I open my eyes! Mash the bananas in a bowl using a fork, once mashed add, the beaten eggs, porridge oats, baking powder and syrup, and mix till combined. Next add your berries, I used a mixture of raspberries and blueberries, which I buy frozen and keep in the freezer. These are not only cheaper but save on wastage. You can add what berries you like. Spoon the mixture into bun cases, I made 8 but it depends on the size of cases you use, and pop in an oven preheated to 200c, cook for 15/20 mins until browned on top. Leave to cool, put in a plastic tub and keep in the fridge, the buns will firm up once cooled. 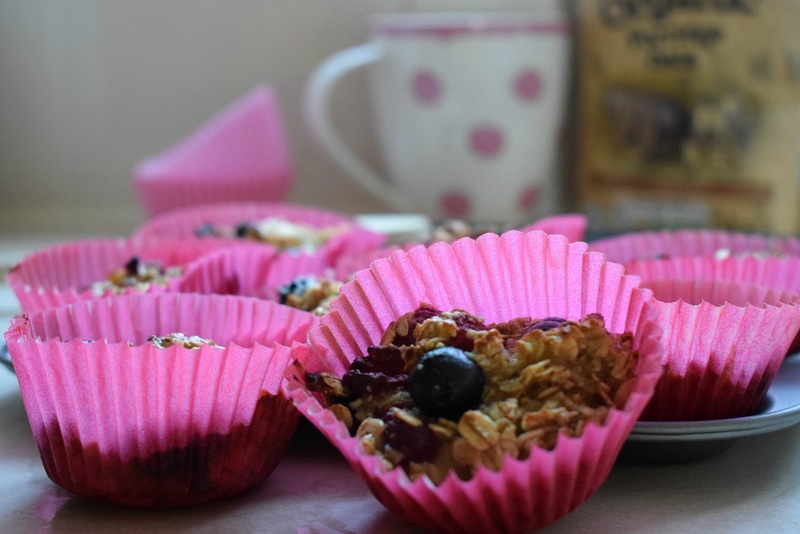 So there we have it, a pretty healthy snack, packed with good stuff, perfect with a cuppa, not to sweet but sweet enough to take away the sugary cravings.